Japanese anime Mobile Suite Gundam! Head to Odaiba to experience Gundam World! 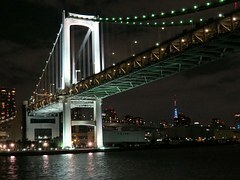 It’s a good opportunity for people who like Gundam to visit Gundam Front Tokyo (GFT) in Odaiba. 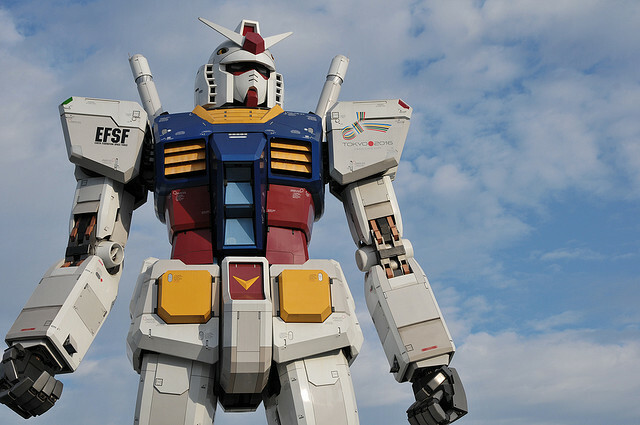 Gundam was originally born in Japan. The place GFT where you could experience the Gundam world with no charge has been still evolving since 1979 after Mobile Suit Gundam animation started, it’s surprisingly for more than 30 years. It has been 3 years since 2009 summer GREEN TOKYO GUNDAM PROJECT, to celebrate the 30th anniversary of Mobile Suit Gundam animation in Shiokaze Park, Odaiba where around 4.15million people came for 52days event period. The GFT offers an entertainment place to feel Gundam more familiar aiming at Gundam’s reality and 1/1 size body. Moreover it is advertising Gundam news to overseas in particular Asian countries where Gundam is popular. You will arrive at Diver City Tokyo Plaza walking in a direction to Daiba Station from Tokyo Teleport Station, Rinkai Line. There is GFT as a Gundam archive space on the 7th floor. The entrance fee is 1000yen. The Gundam fans will be moved by the life-size Gundam monument at the 1st floor entrance.